When I walk, run, and go around, I want to bring my music with me. Sometimes though it is not just the music, it’s about answering calls on the go, but not wanting to wear a headset. It’s funny when you want to hear what you want where you want, you don’t want to be tied down by wires. Nothing gets me more upset than seeing people driving with earphones in. How can you hear the ambulance, or the cop car that needs to get by? How do you know when someone is honking and screaming at you (well maybe it is good they don’t hear, lol), but you know where I am going with this. Earphones can be very dangerous when they are used in the wrong environment. Have you ever been walking, jogging or hiking and just wished the music could crank but without wearing headphones? What is you could hear what you want where you want and not have wires connecting you to it? 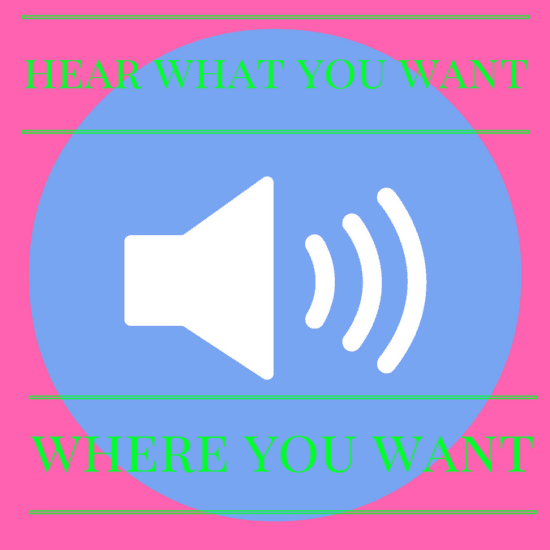 I have the answer to hear what you want where you want in order to lavishly live life out loud. Many states do not have laws regulating the use of headphones while driving or bike riding, but I think sometimes common sense needs to take the place of laws. We need to understand our limits and just like texting and driving is not a proper mix, neither are headphones and driving. Whether you are on a bike, or in a car, you need both ears for listening to the world around you. The more I can blare the music, the harder I work out, and I am sure many of you are the same. I love what I have found that lets me blast my music, without blasting my ears. It lets me take calls without putting the phone to my head. I love that I look like a Jame Bond Agent wearing my device. What is this super cool way to freedom and music? So I crush on technology and what I have found lets me hear what I want to hear where I want to hear it. If I am biking I hear my music, if I am driving I hear my music and if I am walking I hear my music because WRIST BOOM is worn on my wrist. Wrist Boom is an amazing wearable, Bluetooth, wireless speaker that play music and answers calls from my wrist or whatever I choose to wrap it around. The device is water resistant, lightweight, and has a battery life of 4-6 hours, and allows for hands-free phone calls. The charging is simple, plug it into a USB charger and let it charge, it took me about 2 hours to get if charged on up. Then, you just turn it on and pair it with your phone, which is so easy. To answer calls, this side button just gets touched when the call is inbound and you can talk and walk, super easy! The Wrist Boom comes in multiple colors and will size up or down just like a watch. The look of the Wrist Boom is cool, and is it water resistant (sweat) and super light. I wear mine everywhere and people are always asking me, where did you get that? Lavishly live your music out loud, stop being bogged down by wires, gain freedom and jam out loud. You should always hear what you want, where you want, it is your life to lavishly live out loud. #affiliate links contained within, and product provided in exchange for my honest review.